We are shining the spotlight all this week on Eco Fashion and Natural Fabrics, so who better than Le Fil Rouge Textiles to get us thinking about Spring! 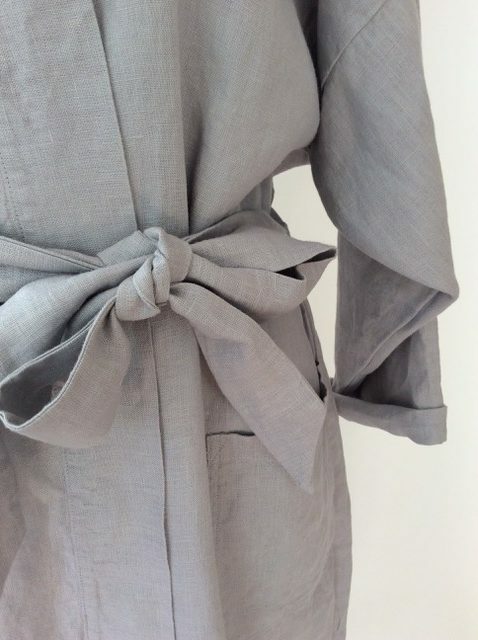 We have to admit we are a little bit biased towards anything both natural and easy to wear these days, and we love linen! We also love the simplicity of Le Fil Rouge Textiles pieces, meaning we’ll be dressing them up or down as needed and feeling cool and comfortable come warmer days. 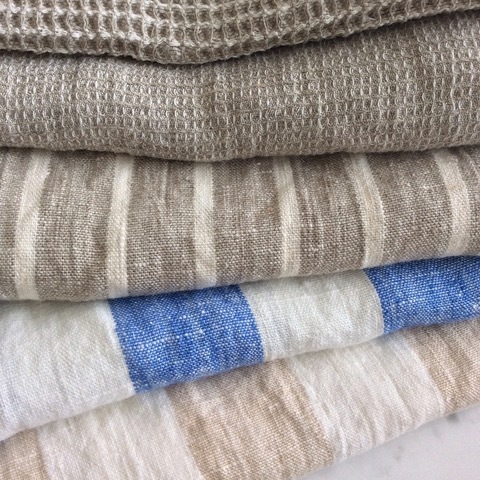 Also, we are looking forward to getting our hands on their linen towels, which will also be at the show, because we know they will be the perfect compliment to body care and bikinis! You can win one of these towels through our Instagram Loop Giveaway, but make sure you enter ASAP as the contest closes this evening at 7pm! Le fil rouge Textiles creates everyday essentials from 100% natural fibres. We treasure individuality and the beauty of simple pleasures. Our range of unique, small-batch textile products aim to balance style, sustainability and comfort. From surprisingly absorbent bath sheets to one of a kind hand-painted pillows and simple but chic wearables, every piece is proudly made in Vancouver. Linen is a natural fibre recognized for its minimal footprint, outstanding comfort and surprising versatility. Le Fil Rouge Textiles, directly translated as “the red thread”, is of cross-cultural and historical significance. Found in the French, German, Chinese and British traditions, it has come to signify a variety of meanings. From the unspoken connection between soul mates to the underlying theme of one’s whole life – the phrase has moved across time and space and language. 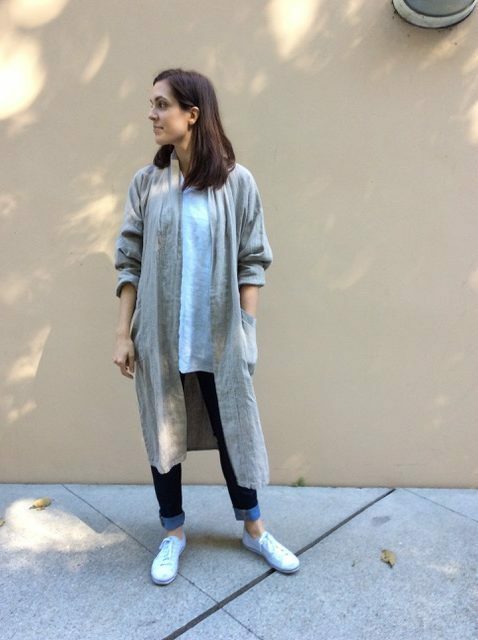 For founder and designer at Le fil rouge Textiles, Ellen Walde, the phrase has always represented the belief that we are all connected in thought and action; what each of us does (visible and invisible) affects us all. Ellen Walde’s life has been woven together by a recurring thread – an inexplicable childhood fascination with fine cloth, her ongoing artistic explorations and an abiding passion for natural fibres and how they can shape and impact the planet and people’s lives. 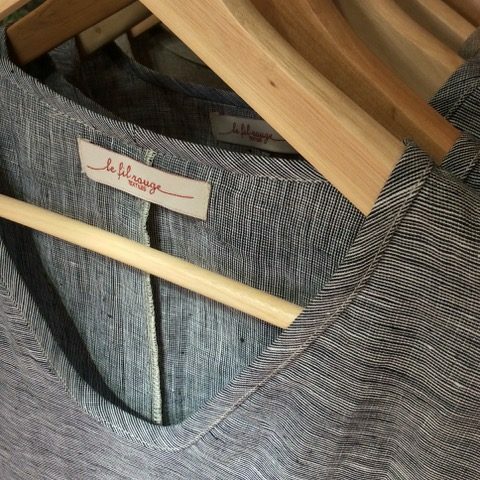 Le fil rouge Textiles was founded in 2013 out of the desire to share the incredible benefits of linen and to bring comfort, beauty and inspiration into people’s life through authentic, sustainable materials and timeless designs. Simplicity is the new luxury.